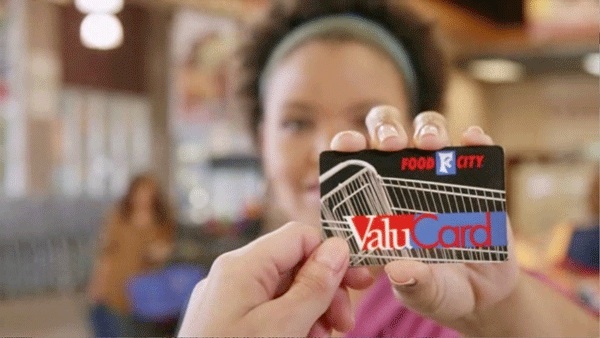 The most valuable thing in your wallet is your Food City ValuCard! 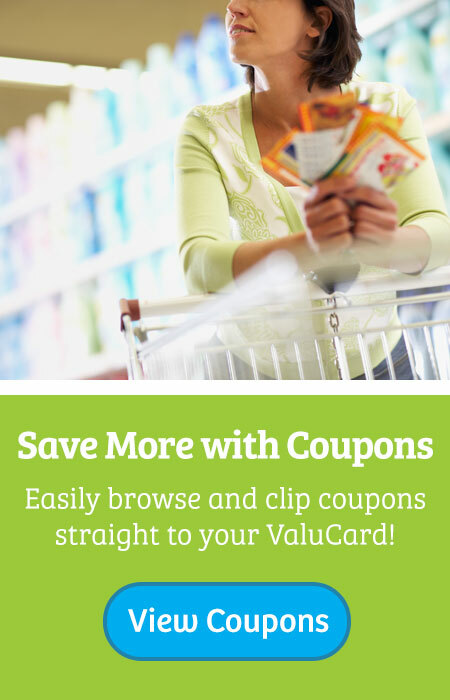 Save on the items you use most with special ValuCard only pricing and digital coupons, plus you’ll automatically be entered into ValuCard sweepstakes, get ValuCard partner discounts and more! Sign up today and start saving even more. Lost your ValuCard or need another one? Login to your account. The Food City name is also synonymous with NASCAR racing through the sponsorship of two of the sport’s most popular events, the Food City 500 and Food City 300 at Bristol Motor Speedway in Bristol, TN. 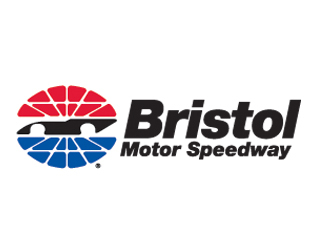 As Bristol Motor Speedway’s longest running sponsor and the second longest sponsor in NASCAR, the company has also contributed more than a half million dollars in proceeds from their annual Food City Race Night events to local organizations throughout the area. Food City has extended their sponsorship with Bristol Motor Speedway for an additional five years through 2018, which will also include their participation in the much anticipated “Battle at Bristol” football game between the University of Tennessee and Virginia Tech in September 2016. Located in Abingdon, Virginia and opened on June 10, 1933 Barter Theatre is one of the longest-running professional theatres in the nation. In 1933, when the country was in the middle of the Great Depression, most patrons were not able to pay the full ticket price. Robert Porterfield, founder of the theatre, offered admission by letting the local people pay with food goods, hence the name "Barter". The original ticket price for a play was 40 cents, or the equivalent in goods. In 1946, Barter Theatre was designated as the State Theatre of Virginia. 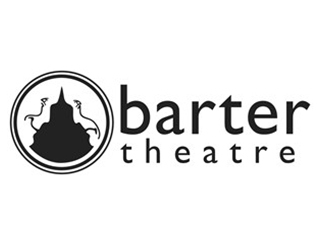 Today, Barter is one of the last year-round professional resident repertory theatres remaining in the United States. The Birthplace of Country Music was established to preserve and promote the rich music heritage of our region. Through the Birthplace of Country Music Museum and its mission, the Bristol Rhythm & Roots Reunion music festival, and a multitude of community and educational outreach programs, our vision is to promote Bristol, Tennesee-Virginia as the Birthplace of Country Music. Show your Food City ValuCard at The Birthplace of Country Music and receive 10% off any (1) Single Non-Artisan Item in The Museum Store at the Birthplace of Country Music Museum. Offer excludes books, CDs, DVDs, artisan items, museum ticket, & Bristol Rhythm & Roots Reunion tickets. Thirty-two magnificent horses and a cast of top-notch riders thrill you with daring feats of trick riding and competition, pitting North against South in a friendly and fun rivalry. Enjoy a barrel of music, dancing, special effects and family friendly comedy along the way. 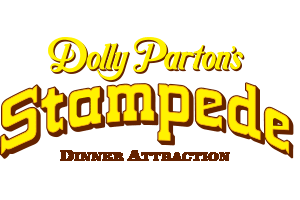 Celebrate as the North and South join together in a patriotic salute of Red, White and Blue featuring COLOR ME AMERICA, written and recorded by Dolly herself. Dixie Stampede is home to the annual Food City Kid’s Club co-sponsored WHOADEO event every fall. Food City is proud to be the Official Grocery Store of ETSU Athetics! 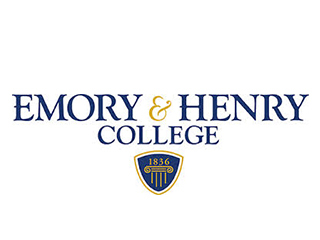 Food City is a longtime supporter of Emory & Henry College sports programs and sponsors the WEHC broadcasting of games and pre and post game shows. The Heart Lung Vascular Institute offers its Healthy Living Kitchen, healthy cooking classes dedicated to teaching individuals how to cook heart healthy and learn new techniques to enhance the flavor of food. 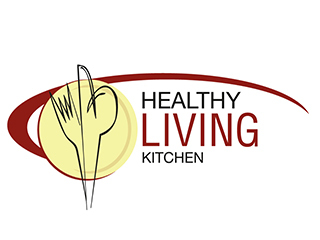 The Healthy Living Kitchen holds regular healthy cooking classes that deal with timely cooking topics such as grilling in the summer, holiday entertaining and healthy chocolate choices, so you can return as often as you wish to learn even more! Attendees of the healthy cooking classes will enjoy cooking demonstrations, a meal, food safety and preparation, cooking tips and additional education such as how to lower your cholesterol. Sponsored by Food City. 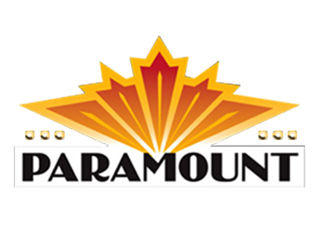 Built in 1931 and restored to its original splendor in 1991, the Paramount continues to grow as a premier performing arts center. Audiences share passion and drama, laughter and tears, majesty in motion, join in music, pride in learning… and memories. Listed on the National Register of Historic Places, the Paramount is an excellent example of the art deco motion picture palaces build in the late 1920’s and early 30’s. You’ll feel as though you are part of the performance from every seat in the theatre. Located in Gatlinburg, TN and a proud partner of Food City, Ripley’s Aquarium of the Smokies is literally teaming with life – our 10,000 exotic sea creatures are comprised of more than 350 individual species. Experience the amazing aquatic sea creatures and playful penguins swimming! The scenic beauty and the abundance of water all around makes Gatlinburg a “natural” location for this world class aquarium. Rocky Top Sports World in Gatlinburg, Tennessee, is a brand new indoor/outdoor sports destination that is bigger, better and more accommodating than any other venue in the region. And, in its first year, it’s rapidly becoming the most talked about tournament destination in the Southeast. 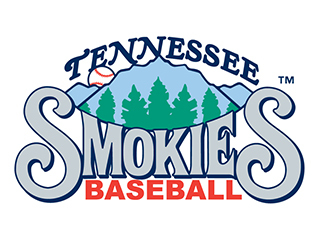 The Tennessee Smokies are a Minor League Baseball team based in the Knoxville, Tennessee, metropolitan area. The team, which plays in the Southern League, is the Double-A affiliate of the Chicago Cubs of Major League Baseball. Smokies Park, the team's ballpark, is located in the suburb of Kodak, and seats up to 8,000 fans. 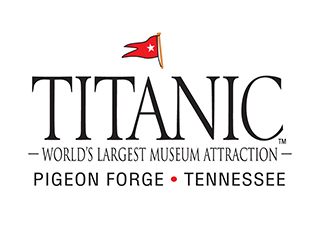 The Titanic Museum Attraction is a proud partner of Food City and continues to open the door to the past by letting “passengers” experience what it was like to walk the hallways, parlors, cabins and Grand Staircase of the Titanic while surrounded by artifacts directly from the ship. As visitors touch a real iceberg, reach their hands into 28 degree water, and try to stand on the sloping decks, they learn what it was like on the Titanic by experiencing it first-hand. Food City is a long time grocery partner of the University of Tennessee Athletics. The associate presenting sponsor of the “Good Sports Always Recycle Program” and annual participant of the “Tennessee Beef SweepSTEAKS” promotion co-partnered with the Vol Network sponsor. Food City also contributes to the Tennessee Fund, providing the resources needed for student-athletes at the University of Tennessee to achieve excellence in the classroom and competition. With these contributions, Food City as a Tennessee Fund members play a key role in the athletic department’s pursuit of comprehensive excellence. A perennial powerhouse in several sports, the University of Tennessee fields eighteen men's and women's NCAA Division I intercollegiate teams and is home to more than 500 student-athletes. The Vols and Lady Vols play as members of the highly competitive Southeastern Conference. 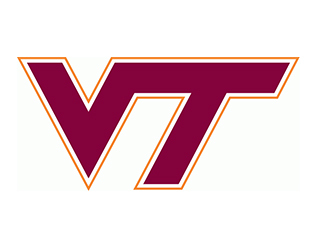 Food City supports Virginia Tech Football through our sponsorship of weekly broadcasts of Virginia Tech Sports Today and the weekly VT Sports TV show. 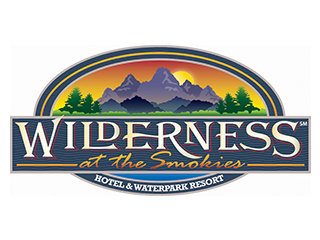 Wilderness at the Smokies Waterpark Resort and Family Adventure Center is a luxurious vacation and meeting destination. Wilderness is a whole new concept of FUN for your Smoky Mountain vacation! Our Guest Exclusive Waterparks are only for resort guests and Included With Your Stay! Wilderness is home to the Wild WaterDome, Tennessee’s Largest Indoor Waterpark, which features a see-through roof that will weather-proof your vacation and give you the opportunity to tan inside all year long. Along with year-round indoor waterpark fun, you will find two outdoor waterparks right outside your guest room door! And remember to check out the NEW Adventure Forest dry, family adventure center. Featuring a 3 story ropes course, multi-level laser tag, black light mini-golf, mega arcade and much more! Wilderness at the Smokies is the home of our Food City Kid’s Club SPLASHTACULAR water safety event every fall. 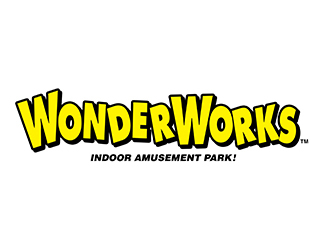 WonderWorks is an amusement part for the mind with 35,000 square fee of “edutainment”. The attraction combines education and entertainment with more than 100 hands on exhibits that challenge the mind and spark the imagination. This once top-secret laboratory was located in the Bermuda Triangle. An experiment gone awry lifted the laboratory carrying it to Music Drive in Pigeon Forge, Tennessee where it landed upside down. Luckily all of the exhibits remained intact and available for guests.